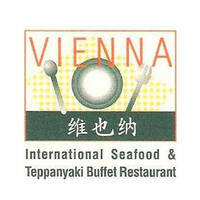 A six-minute walk away from Novena MRT, Vienna International Seafood Restaurant is nested in United Square Mall. The restaurant offers a buffet spread of a wide array of dishes which include local, Western, and Japanese cuisine. Diners can feast on seafood like raw oysters, abalone, cereal prawns, crayfish, smoked salmon, and black pepper crab. Head over to the live teppanyaki cooking station as the chefs whip up a customised dish based on the ingredients chosen by customers. End the meal with their dessert section which includes various cakes, herbal jelly, pudding, and ice cream.